The National Council Meeting held yesterday has unanimously approved of the nominees presented to it by the National Vetting Committee 2017. The new NEC, hosted by the UEW Coordinating Branch, will have a two-year tenure, starting from April, 2018 to 2020. 7. National Organising Secretary --- Kwesi Takyi (BA Art Education, level 200). 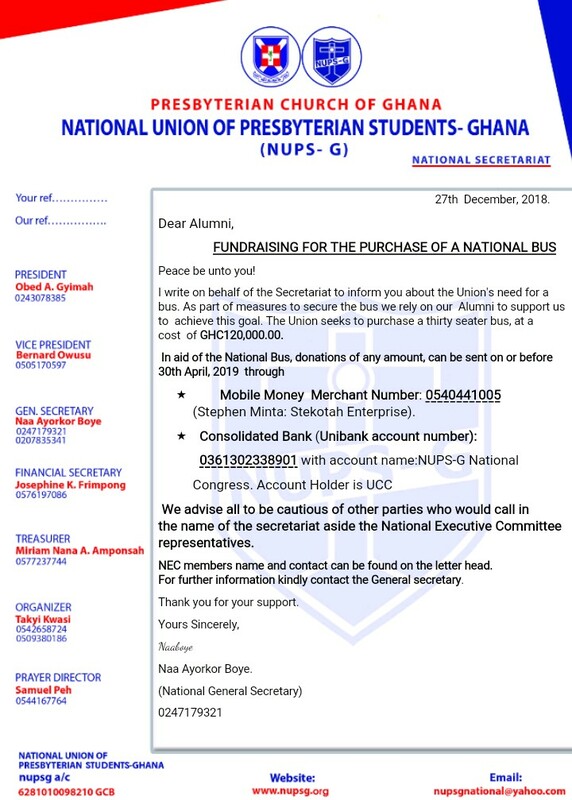 The move for adoption was given by Mr. Alfred Appiah, the immediate past NUPS-G National President and seconded by the Secretary of the UCC Coordinating Branch, Gifty S. Kwapong. On behalf of the News Team, I congratulate the New NEC on their appointment.